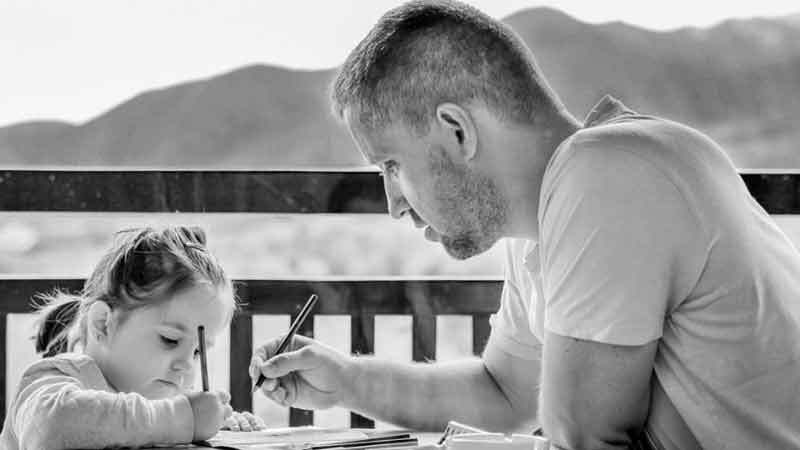 Maria Chiu and colleagues from the University of Toronto compared the health of single fathers (a growing demographic) with the health of single mothers, partnered fathers and partnered mothers living in Ontario, Canada, over a median of 11 years. Maria Chiu found that the mortality in single fathers was three-times higher than the corresponding rates in single mothers and partnered people. This study was published in the Lancet in February 2018 and corrected on March 5th, 2018. Dr. Chiu used a representative sample of 871 single fathers, 4590 single mothers, 16 341 partnered fathers, and 18 688 partnered mothers from the Canadian Community Health Survey. Single fathers having to work full time and take care of their children at the same time had a higher stress level exposure than single mothers and partnered couples. Maria Chiu noticed that more single fathers were single because their partner had died, compared to single mothers who were more likely to be single because of separation or divorce. Grief could be an additional cause of stress increasing mortality risk in single fathers. As for the single fathers who were single because of separation or divorce, the reason why single fathers had custody of their children was usually poor maternal mental health due to drug or alcohol addiction or other mental or physical problems. Single fathers’ difficult relationships with their ex’s could also increase single fathers’ stress. Single fathers seemed to have fewer trusted friends to rely on and confide in, and used fewer support networks, leading to more loneliness. Nicole Valtorta from the University of York in the UK showed how loneliness and social isolation can be associated to higher risk of heart attacks and strokes. Loneliness has also been associated in other studies with poor sleep, higher levels of stress hormones, weaker immune system and accelerated cognitive decline. In conclusion, the authors recommend that single fathers (a nine-fold increase in the USA since the 1960’s) and their physicians be made aware of the risks of single fatherhood, and pay increased attention to single fathers’ health. The authors also recommend that more studies be done to increase our understanding of the causes of single fathers’ elevated mortality.